Climates can be classified in numerous ways and over the years several systems have developed for doing so. Bill Mollison utilized a couple of different ones and presented them in the Designer’s Manual to aid us in our global and local pursuits. You have to step back and ask yourself: how did this global mosaic of climate and vegetation get created? From that we will use maps and numbers to delineate climate types so that we have a common language and can approach climate analog. For now, examine the following broad classification of Earth’s systems. This map shows general classifications but does not give much detail. A desert in Australia is different from one in Eastern Washington State or in China. The maps show a broad pattern, details arise from further exploration. Mollison explains specific techniques for design and management of systems in the Designer’s Manual in 3 chapters: Humid tropics, temperate, and drylands. The first two are based on temperature while the final one is based on precipitation. 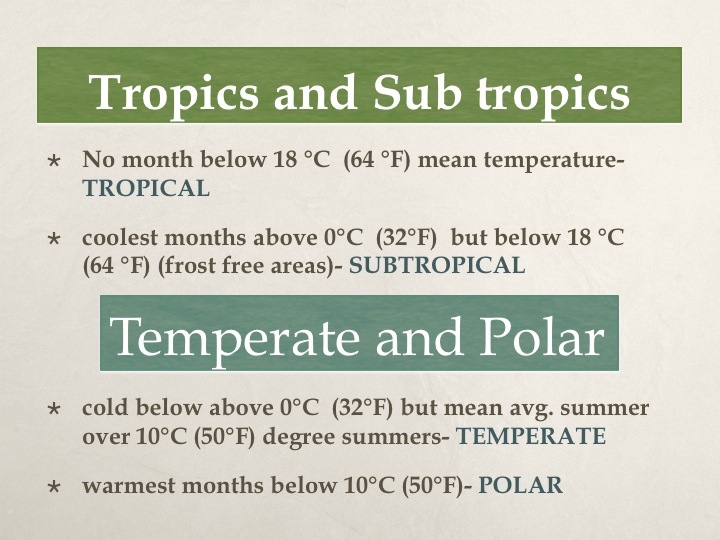 Below is the breakdown of Tropics vs. Subtropics and Temperate vs. Polar climate. 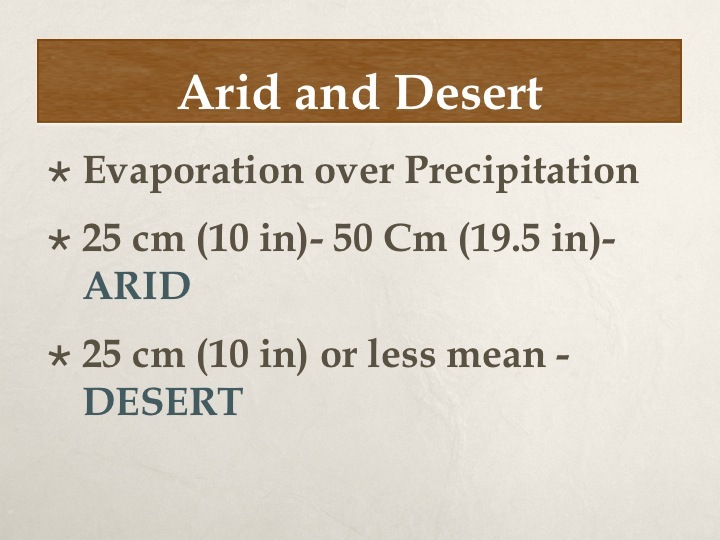 differing rainfall patterns. 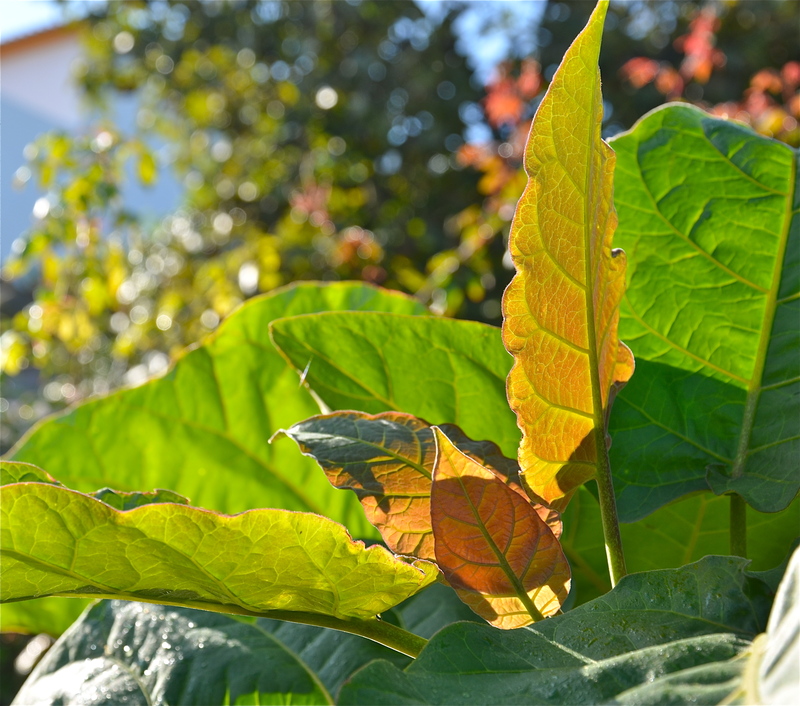 All the while a subtropical climate gets cool, but does not dip below the freezing point. Many areas of the world that I have worked at, including New Zealand and Portugal, have been like this. They show effects from being influenced by the ocean and its temperature mitigating ways. Many mediterranean climates fall into this category as well as places like the very southern portions of the States and parts of Australia as well as places in Argentina. I visited one place, Shamballa Permaculture, in central Argentina, that had quite a unique climate: a hot and humid summer and dry and cold winter with only a few days below zero. Essentially it was the “opposite” of a Mediterranean climate. Temperate climates are those that experience extreme temperature fluctuations like the state of Ohio where I come from. It’s a place that feels like the tropical jungle in the summer (literally, if not hotter) and has an arctic period in the winter. However, polar climates don’t get to be very warm places, not even in the summer time. The other form of classification that Mollison outlines is based on precipitation. 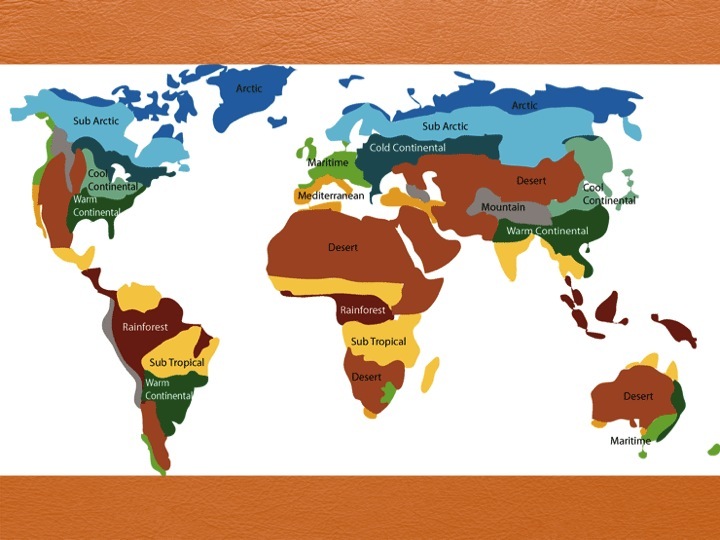 Drylands are an ever-increasing zone on Planet Earth. Much of the world’s population resides in one of these two rainfall classifications that you can see below. Thus, when you combine the two, you may get tropical deserts just like you may get temperate deserts. Much of Antarctica is an Arctic desert. Knowing these broad classifications allows a phenomenon called climate analog to spring up in your design work.